The Corporate Partnership Program, in conjunction with our part-time evening Flex MBA and our Executive MBA programs, brings together the bright minds of your organization with William & Mary's top business educators. The purpose of the Partnership Program is to ensure continuous value-added engagement with the companies for which our students work, ensuring that the programs we offer provide value to students and their sponsoring organizations and are grounded in both rigorous academics and real-world application. Corporate Partner designation is limited to 25 organizations with a broad spectrum of industries as our goals. Corporate Partner applications are reviewed by the Corporate Partnership Selection Committee and are assessed according to an organization’s past, current, or potential future engagement with the Flex and/or Executive MBA programs in terms of support for students enrolled in those programs and willingness to engage with program leaders in conversations designed to enhance the learning and experience of our Working Professional students. Applications are accepted on a rolling basis as and according to vacancies. 1) Corporate Partners agree to review an annual renewal agreement (with no obligation to renew) each year. 2) Corporate Partners grant permission for William & Mary to list the company name listed above and display a company logo provided by the Corporate Partner on the Raymond A. Mason School of Business Corporate Partnership webpage and in recruitment materials for the Flex MBA and Executive MBA programs. 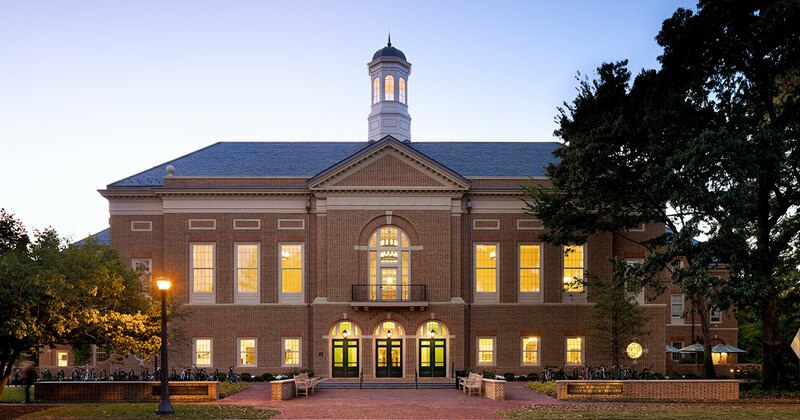 3) Corporate Partners agree to refer their employees who are interested in earning an MBA degree while continuing with their career to William & Mary’s Flex MBA and Executive MBA programs. 4) Corporate Partners agree to host a team from William & Mary for one professional development session scheduled during the duration of this agreement, details of which are to be agreed upon at a later date and time. 5) Corporate Partners agree to provide one company representative at the level of Director or higher to participate in a Working Professionals Advisory Group to engage in interactive sessions with other Partner organizations and Flex/Executive MBA staff and faculty about the relevance and applicability of program curricula. The group will be hosted at least annually at Alan B. Miller Hall on the William & Mary campus. *Please describe the company's relationship with the Raymond A. Mason School of Business including support for employees to attend the Flex MBA or Executive MBA programs (i.e., tuition assistance, paid time off for class attendance or participation in international residencies, or any other support provided) or engagement in other areas of the Business School (i.e., Field Consultancy client, classroom or event guest speakers, participation in Corporate Education non-degree courses, etc.). *Please describe why your company would like to participate in the Corporate Partnership program. Sponsor various student-focused opportunities such as networking receptions, site visits, plant tours, etc. Are there any other ways in which your company would like to be engaged with the Flex MBA or Executive MBA programs or the Mason School of Business? Thank you for your interest in partnering with the Flex MBA and Executive MBA programs at the College of William & Mary. Our Corporate Partnership Committee will carefully consider your application and communicate an application decision to the point of contact listed above. If you have any questions in the meantime, you may contact Jana Allen-Bishop - Associate Director - MBA Programs for Working Professionals, at 757-221-2356 or jana.allen@mason.wm.edu.